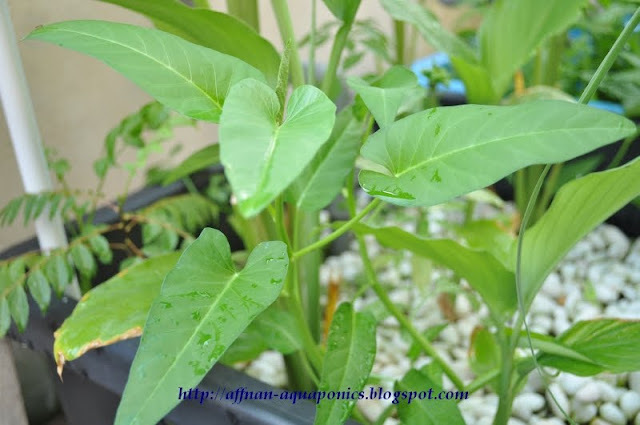 Kangkong, Water Spinach or Ipomoea aquatica and in Thai its Paak Buong can be found in abundance in the S.E Asia region. They are use as vegetable and many dishes use this plant. I prefer raw, since I plant this then its safe for me to consume it raw. Otherwise if its from the market I would refrain myself from that indulgence. I grow these from cuttings, normally they are sold at the supermarkets with their roots intact. Cut that portion and use it as growth material. I would get about 70% success rate. Sometimes when I go to the wet market, this is where old ladies or Chinese Nyonya sell vegetables. These nice Nyonyas will be more than happy to give me the root cuttings. Probably one less garbage for them to worry about. There are few variety of Kangkong here, two of which are commonly use as vegetable. The cultivated Kangkong as shown here and the wild Kangkong, where the stem is more darker in color. In the old days, this plant is consider as worthless, because they can be found almost every where. 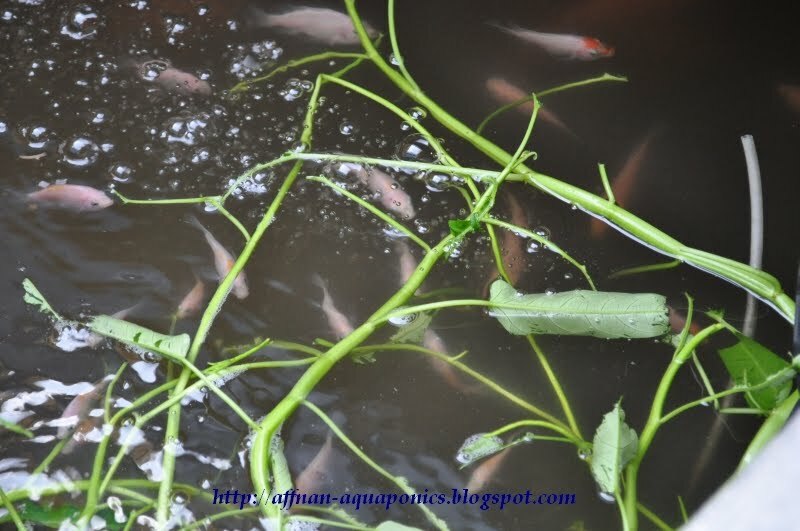 Kangkong can be use as feed for the Tilapia instead of Duckweed. Its best to feed them in the morning where no other foods are given, then they'll eat otherwise they will go for the pellets or other food first. Its interesting to watch when these Tilapias feeding on the Kangkong. I am in Phenom Penh Cambodia and I am trying to set up an aquaponics system with an existing concrete pond (14kliters) where Tilapia are being raised but not very successfully or efficiently. 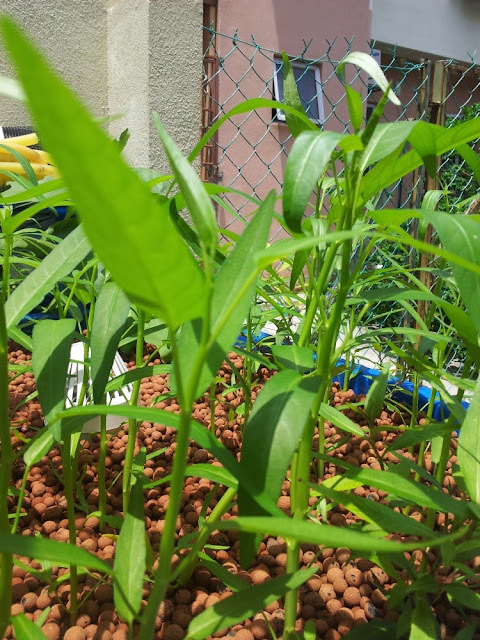 Long story short, can I use "Water Spinach" in its submerged water growing form as a bio filter to improve water for the fish? I am thinking of simply running the pond water through the tank where the plants are growing. Both harvested fish and greens will be going to feeds children in orphanages around Phenom Penh. Your help is greatly appreciated. Its do able, 14k Liters of water will do many growbed. Depending on how the concrete pond was constructed over ground its then be possible to design a simple Aquaponics setup for your needs. The basic setup is to have growbed base higher than the pond water level by about 2 feet. If its lower than this you may experience problem in water return. You could experiment on simple setup first starting with one growbed, the additional growbed are just addition to same setting. 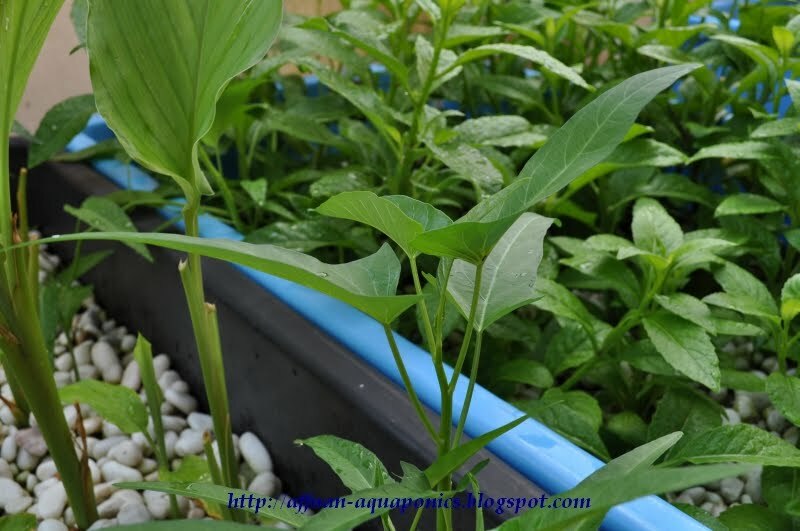 Water spinach will absorb some nutrient from fish water, but it will not be as efficient as a proper biofilter as in growbed. 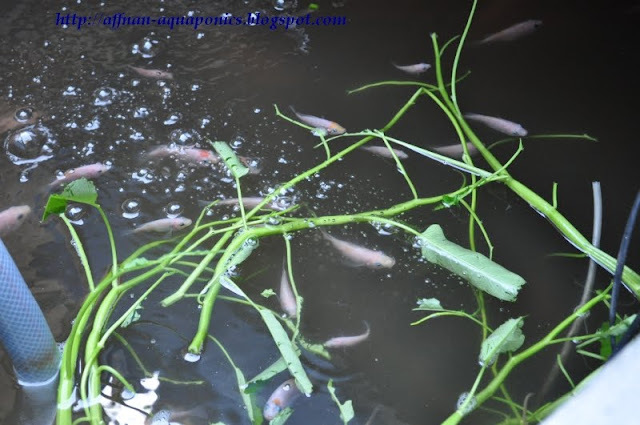 Water spinach also may be eaten by the fish in the tank especially if you have Tilapia or cat fish in it. We learn something everyday, Tilapia love these, and its a blessing for us to have these plant that we could use to feed those fish. I am moving to Siem Reap, Cambodia in around 6 months time. I am researching Aquaponic set-ups in the hopes to set something up in the back yard of the children's home I will be living at. Currently they have a garden bed that is nothing more than dusty soil. I have read enough about how to build a system and i am confident with the construction side of things. However i wanted to know how tempremental the ecosystem is? Is it something that can easily become unbalanced? I also wanted to know if i could do without buying a pump. Rather use a gravity fed drip system at the start of the cycle (watering the plants) , and a gravity fed drip system that collects at the end of the cycle (pond water). If timed correctly this would mean that a water container would only need to be swapped every 12 hours or so. Could you see any problems occurring with this type of set up? The system will depend on size of fish tank. The bigger the tank the more stable it gonna be. If you have a very small system like 100 gallon of water volume it would be tempremental causing unbalance if not checked. However its is not something that could not be fix. Aquaponics requires water circulation to ensure adequate biological action between bacteria and ammonia from fish water. With only a drip feed I do not think it is adequate for such because conversion will be very small as what you suggest. However if you can use a hand pump and do manual pumping every hour or so filling the grow bed and let it drip out and then pump again it may work, but it will still be a limited amount of water cycling through. Another alternative is try using solar pump for the pumping. 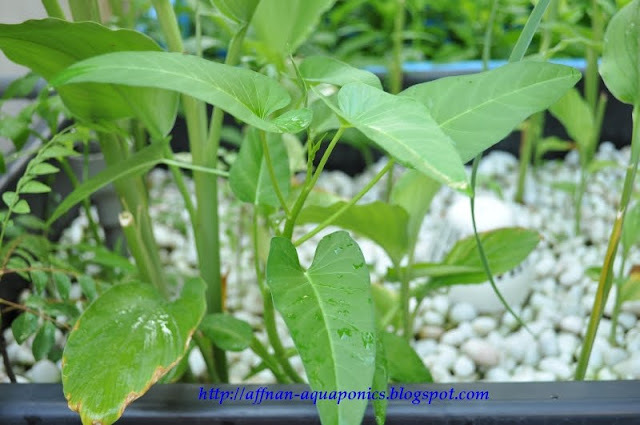 If you have access to electricity supply it the best, Aquaponics don't use much power estimate each growbed only needs about 10kwh per months that is about 1 USD of electricity. 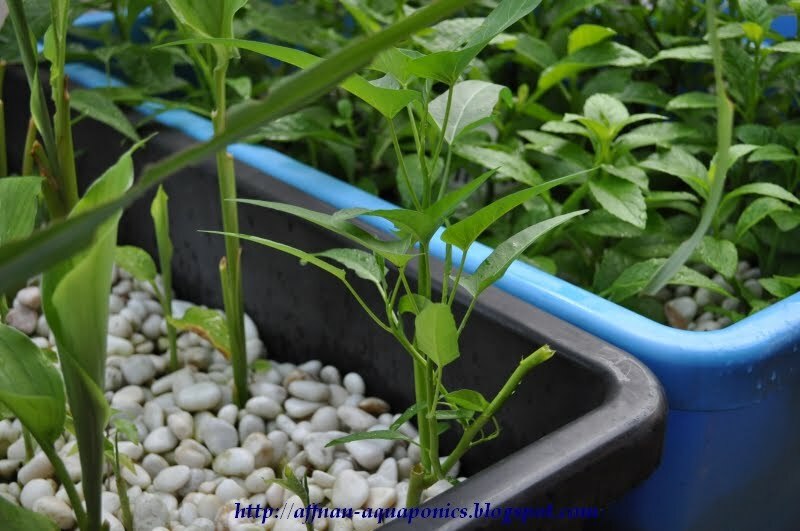 I understand why you need such a manual system in Cambodia, just that it would be very risky to run Aquaponics that way. 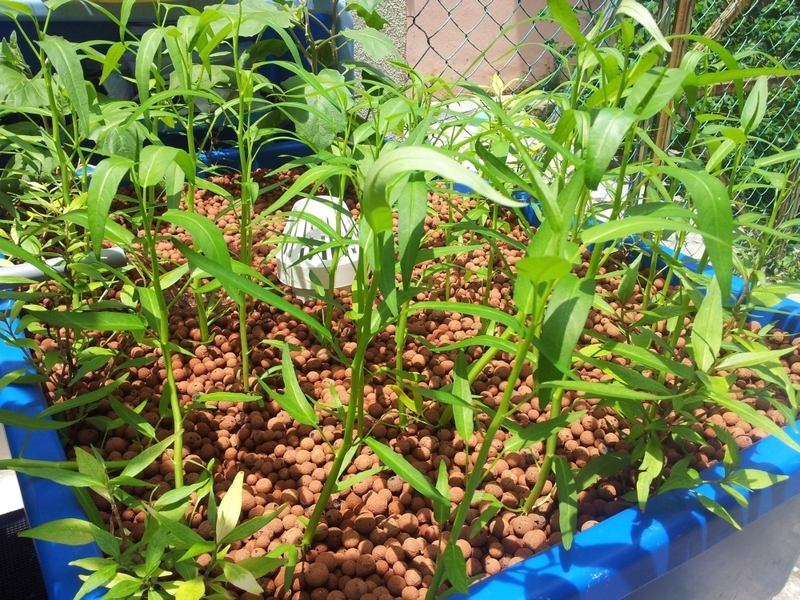 I tried to grow kangkung is a basic aquaponic design of 1 growbed and 1 aquarium with 7 gold fishes but its yellowish with only 2 or 3 leaves normal green. Is this normal? That's not normal, maybe your set not mature yet. It is lacking in nutrient. And after reading a lot of articles on aquaponic, the yellowish sign of leave with dark green vein shows the plant lack in iron. 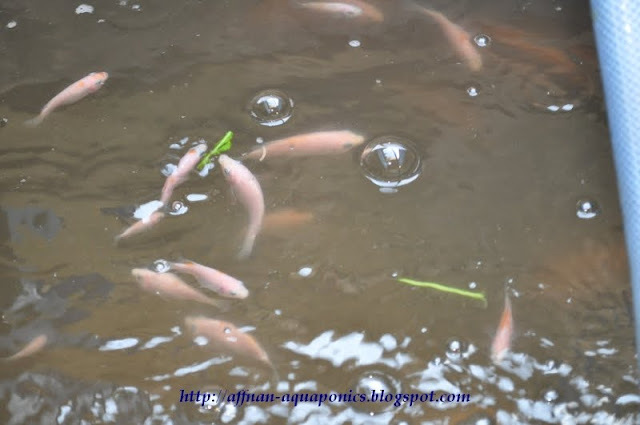 I recommend you to add chelated iron (EDDHA or DTPA type) as it safe for fish. A water warmer can be exceptionally tough if fundamental water radiator repairs are set aside minded of from opportunity to time.